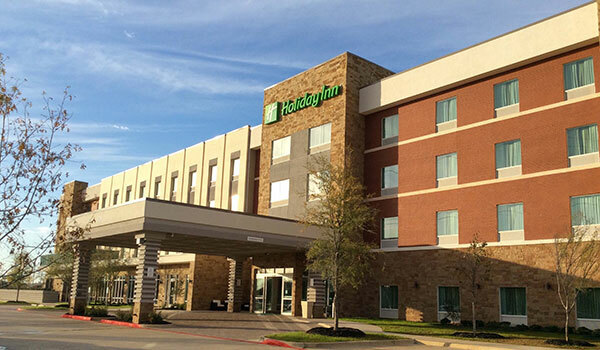 The newly constructed Holiday Inn Trophy Club is conveniently located within minutes of both DFW International Airport and the Fort Worth Alliance airport. Also, nearby is Texas Motor Speedway and Shops of Southlake Town Center, which offers upscale shopping, fine dining and entertainment. Historic Downtown Grapevine and Grapevine Mills Mall are only minutes away. The lobby features open space and opportunities to work, socialize or simply sit back and relax. On-site amenities include business center, gift shop, and an indoor pool. A state of the art 24-hour fitness center is furnished with Precor Cardiovascular equipment and free weights. Also, the Magnolia bar serves cooked to order breakfast, lunch and dinner and offers 30 beers on tap including local craft beer and 16 wines on tap. Centrally located in the heart of Uptown Charlotte, the Hilton Garden Inn Charlotte Uptown hotel is within walking distance to major companies, entertainment venues and restaurants including Time Warner Cable Arena, Epicentre, Bank of America Stadium and the financial district. Our Uptown Charlotte hotel is across the street from the NASCAR Hall of Fame and one block from the Charlotte Convention Center. 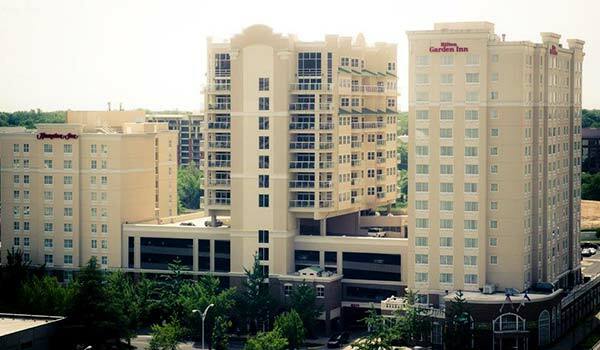 Select the Hilton Garden Inn Charlotte Uptown hotel when planning your next trip to Charlotte. 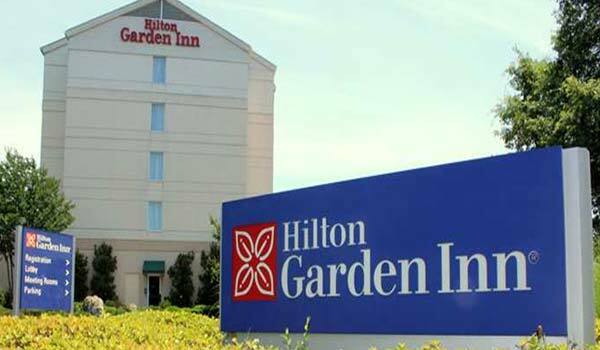 The Hilton Garden Inn Cartersville hotel is one mile from downtown Cartersville in the main business and entertainment district, and one hour from Hartsfield Jackson International Airport. The Booth Western Art Museum, Tellus Science Museum and Barnsley Gardens are nearby. Anheuser Busch and Cartersville Medical are a short drive from our hotel in Cartersville, GA. 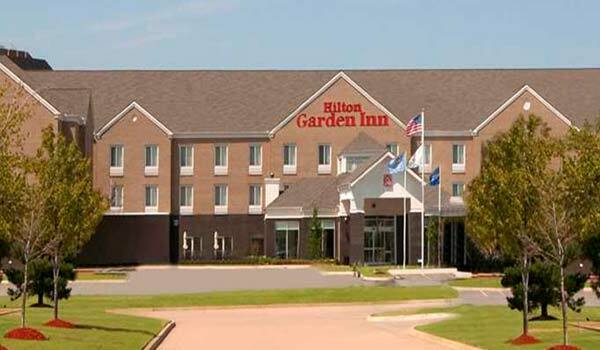 Welcome to Hilton Garden Inn Hotel Charlotte North, located in Northlake Village just off I-77. 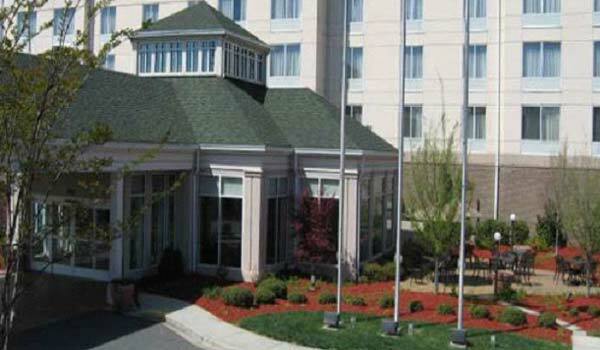 Our Charlotte hotel is north of downtown Charlotte, NC and minutes from Lake Norman and Northlake Mall. Charlotte Douglas Airport, UNC-Charlotte and Bank of America Stadium are 10 minutes away. Companies such as Wells Fargo, IBM, Husqvarna, and Aramark are nearby. 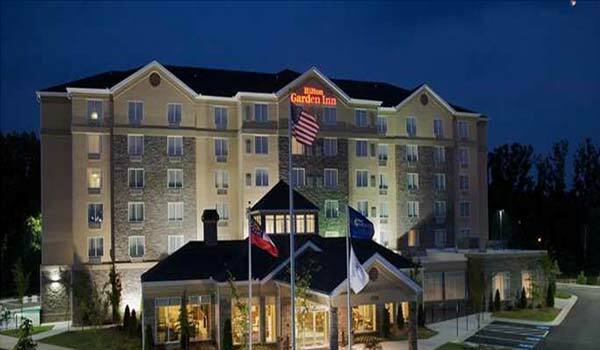 With an ideal range of business and leisure facilities, you're sure to stay comfortable at Hilton Garden Inn Conway. Relax and enjoy this modern property, while our multi-lingual staff attend to your needs. Leave your car in the complimentary parking bay and enjoy complimentary WiFi access, available in all areas of the hotel. Whatever you're visiting for, the modern amenities and comfortable accommodations of Hilton Garden Inn Conway promise a satisfying stay. Conveniently located just a short drive from I-985, our North Georgia hotel offers easy access to Lake Lanier and the Georgia Mountains Center. Make yourself at home in one of our spacious and sophisticated guest rooms and enjoy a warm welcome and southern hospitality at our Hilton Garden Inn Gainesville hotel. From our oh-so-comfortable beds, to cooked-to-order breakfast and complimentary WiFi, our non-smoking Gainesville, GA hotel has everything you need for a productive stay. Located 18 miles from the Will Rogers World Airport and nestled in North Oklahoma City's vibrant corporate, medical and retail area, the Hilton Garden Inn Oklahoma City North Quail Springs hotel puts you at the heart of the area's business community. In easy reach of great shopping, dining, entertainment and popular attractions, you can really make the most of your time at this Oklahoma City hotel. 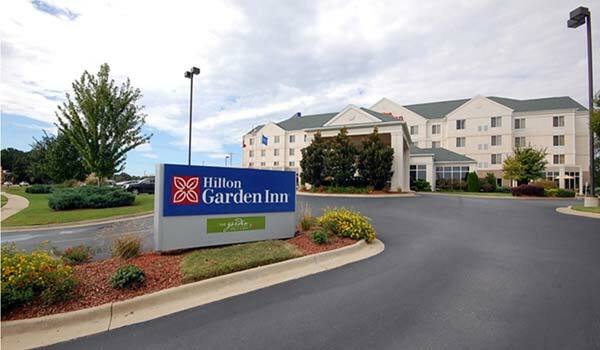 Conveniently located off I-485, the Hilton Garden Inn Charlotte Pineville hotel is only 2 miles from Charlotte's LYNX Light Rail with service to Uptown Charlotte. Carolina Place Mall is within walking distance of our Charlotte-Pineville hotel. Carowinds Amusement park and local companies such as Met Life, Liberty Mutual, and Sonic Automotive are just minutes away.Charlotte Douglas International Airport is 10 miles away. As Charlotte's Southern Neighbor, York County offers all the amenities of a big city tempered with real, authentic history and sincere Southern hospitality. 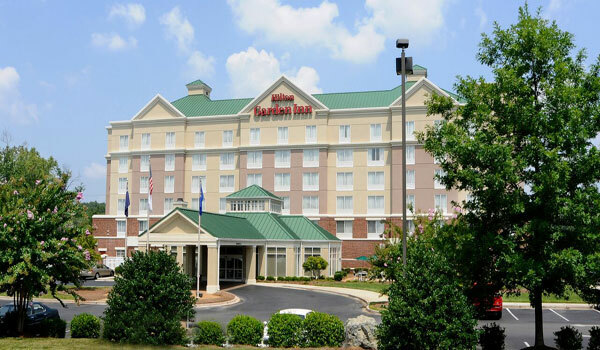 Our Rock Hill, SC hotel is located in Manchester Village Business and Retail Center near I-77 and Dave Lyle Boulevard. Charlotte Douglas Airport and Uptown are only 20 miles away. Cherry Park, Winthrop University and York Technical College are only a 5-mile drive from the hotel. If you're looking for an attraction, we are located near Narroway Productions, Carowinds, Historic Brattonsville, and the York County Museum. 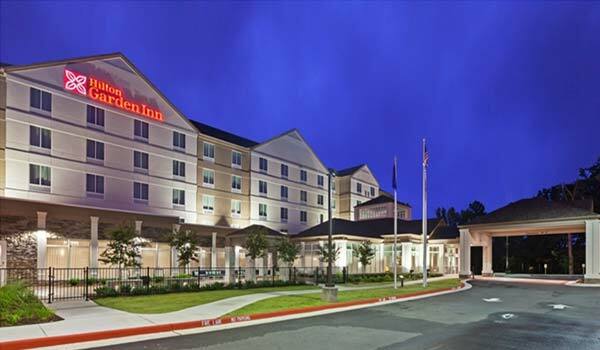 Whether you're visiting for business or leisure, the Hilton Garden Inn Rock Hill in SC is the best place to stay. 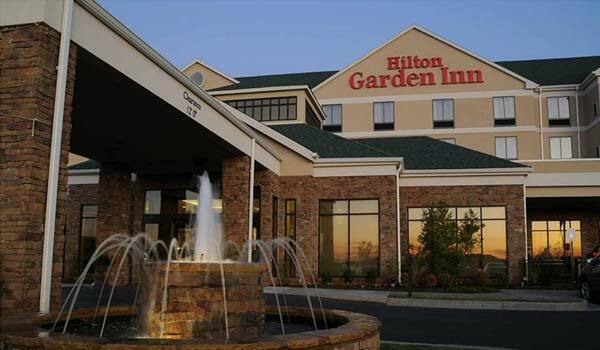 Centrally located in the city's business district, the Hilton Garden Inn West Little Rock hotel is near many companies, corporations and hospitals. In bustling downtown Little Rock, the hub of the capital city is close by and is home to theaters and museums, tempting restaurants, lively bars and exciting shopping opportunities. Visit Little Rock attractions, such as the Little Rock Zoo, Verizon Arena, Pinnacle Mountain and The River Market, all easily reached from our friendly hotel in Little Rock, AR. You'll feel right at home when you stay at the Cambria Hotel & Suites in Madison, WI. Our exceptional service and luxury accommodations provide you with everything you need while traveling. Our guest rooms feature two flat-screen high definition LCD televisions, spa-like baths featuring Bath and Body Works amenities, microwaves and refrigerators. 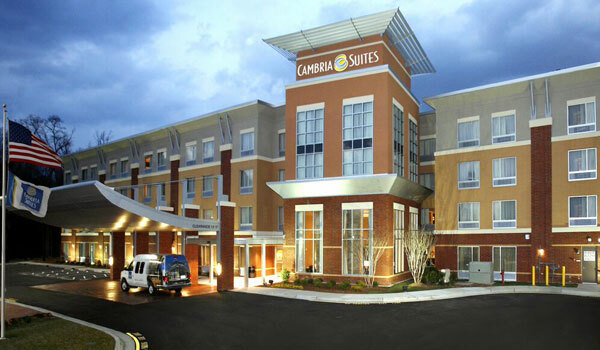 The smoke-free Cambria Hotel & Suites® is in the American Center office park. Located in the American Family business park, we are in close proximity to many area businesses and also near the Dane County Regional Airport. Come stay with Cambria…where everybody is somebody. Make a reservation with us at the Cambria Hotel Raleigh-Durham Airport hotel in Morrisville, NC and let us get to work, while you enjoy your stay. 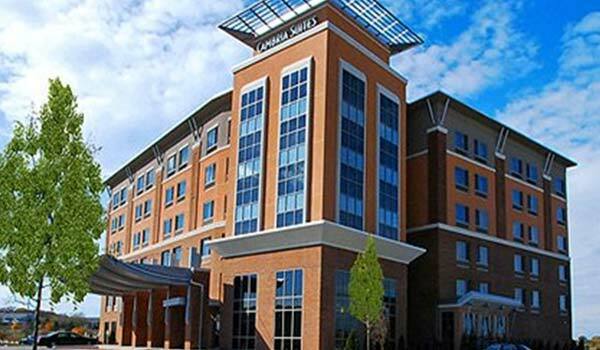 Less than two miles from the Raleigh-Durham International Airport (RDU), for which free airport transportation is offered, the non-smoking Cambria Hotel® Raleigh-Durham Airport hotel is the perfect place to stay for business and leisure travelers. Come stay with Cambria…where everybody is somebody.